The Mimosa is Lady M's August sweet delight! The Mimosa is Lady M’s August sweet delight! August’s sweet delight! 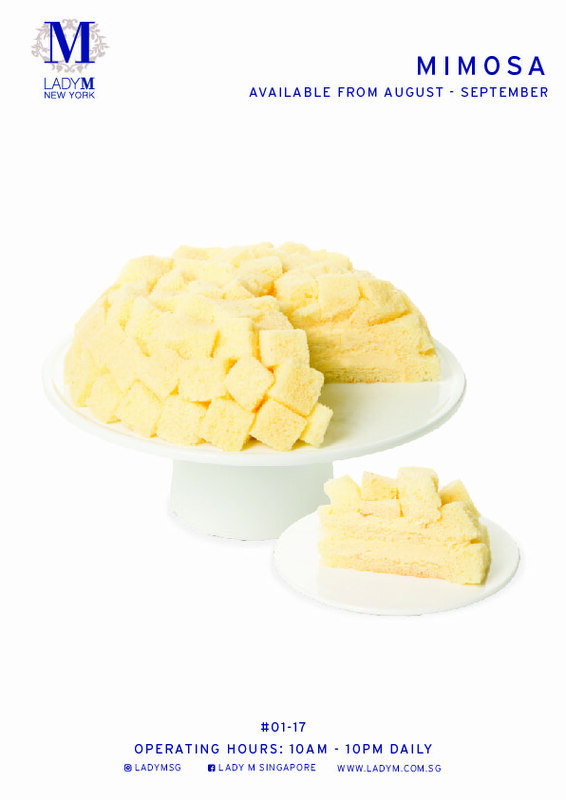 A plush dome of vanilla sponge cubes with double layers of our signature custard beneath. Have a slice of the Mimosa today at Lady M South Beach boutique.